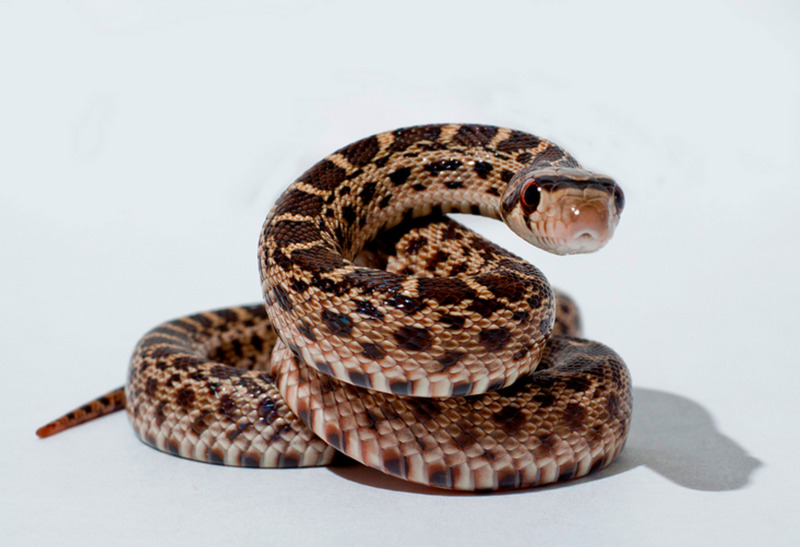 For some people, dreaming of a snake — especially its skin — is a sign of protection from illness. Others may view snake dreams as a foretelling, warning the dreamer of a potential danger or a deceitful person they will soon be encountering. If you are looking to gain further insight into yourself and cannot recall any more dreams, then try eliciting more content from your unconscious by taking a Rorschach inkblot test. In your dream, was the snake a positive or a negative symbol? Thank you so much for the comment. I Apologize for my late reply. Your cobra dream is interesting and I am wondering how the dream feels for you. I'm wondering if this relates to energy for you that is coming into your awareness. It could also relate to fears of the mysterious unknown that may be escaping your awareness. Often times what is on our back is perceived as our burden as well as what could be controlling us. Thank you again for the comment! This was an excellent in-depth hub regarding dreams. I love to analyze dreams. I have dreamt that a cobra is bobbing me in the back and then I wake up. I love dream analysis and interpretation, very intriguing. I enjoyed reading this. Thank you for commenting and sharing your dream. I wonder if your dream of snakes relates to an aspect of self you associate with snakes- something spiritual, unconscious or unknown. Have a snake run with you would give me the impression it is influencing you. Since the snake harms your aunt, I wonder if you see this aspect of self as potentially harmful to one aspect of your life or relationships. The dream may be illustrating your struggle to find a balance between allowing the snake and what is symbolizes to exist while also preserving other aspects of self. Thank you for commenting and sharing your dream! Recurring dreams tend to relate to something we are either ignoring, not addressing or have not resolved. This dream of snakes you had may relate to not facing your fears and how much your fears could have had an ongoing influence over your life. Since the snakes were appearing on the floor and walls, I would wonder if the dream was also showing you that your fears were limiting you and imprisoning you with these walls as well as influencing your life's path . I am glad to hear this hub helped you make sense of this dream! I used to have this recurring dream from childhood up until just a couple of years ago where I was walking through the home I grew up in and there were snakes everywhere. It started off with me just walking through the house but slowly snakes just start appearing on the floor and walls in all different sizes. I have a major fear of snakes and the worst part was that feeling of walking on snakes and the crunch beneath my feet. It was like a flood of snakes that kept getting higher and higher below my feet and I couldn't escape. It felt so real. That is, until I woke up, of course. Not quite sure how that dream could be interpreted but, lucky for me, I haven't had it in quite some time now. I actually forgot about it until I ran across your hub. The part where you said, "dreaming of many snakes may mean the dreamer is anxious, overwhelmed, and possibly that a lot of little things are "'getting to' the dreamer" seems like a likely interpretation since I suffer from anxiety and I'm easily overwhelmed. Thanks for sharing! 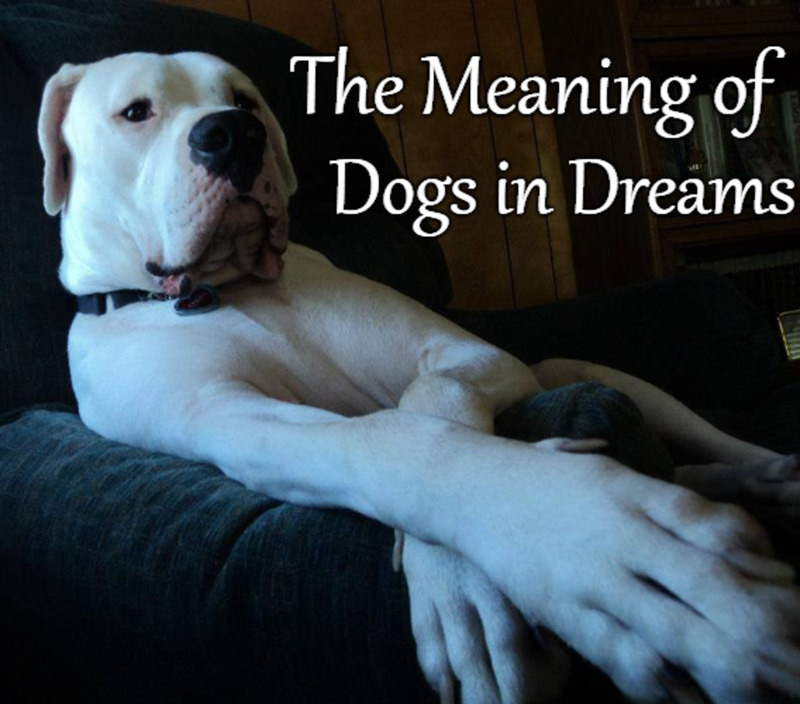 I always love reading about dreaming and dream interpretations. This was a fascinating read. Thank you for sharing your dream. These snakes sound like they represent something that makes you feel dirty and uncomfortable. I would wonder if they are relating to sexuality for you. Since there are two- this could relate to ambivalent feelings. 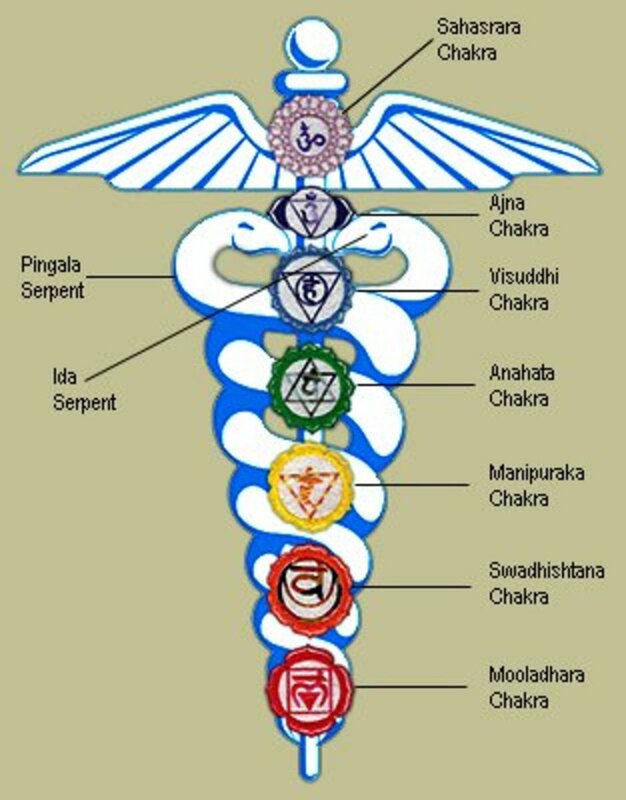 The white and orange snake would relate to the second chakra for me which is also associated with sexuality. The black snake would relate to mystery and the unknown. I would wonder if I am demonizing something that I do not understand or fear is unacceptable. I had a dream last night wherein there were 2 snakes, one was white and orange and the other one was black and I could not rest I was so disturbed, till I asked someone to take them out. Once they were out I kept checking for sure if they were gone and then I could rest in peace. The snakes made me very uncomfortable and I felt very dirty and uncomfortable, that they were there and once they were gone I felt clean. The cow statue may relate to something influencing your rational mind. What are your thoughts of cows? Are they sacred to you? The dream is showing you your path right now and your influences on the way. 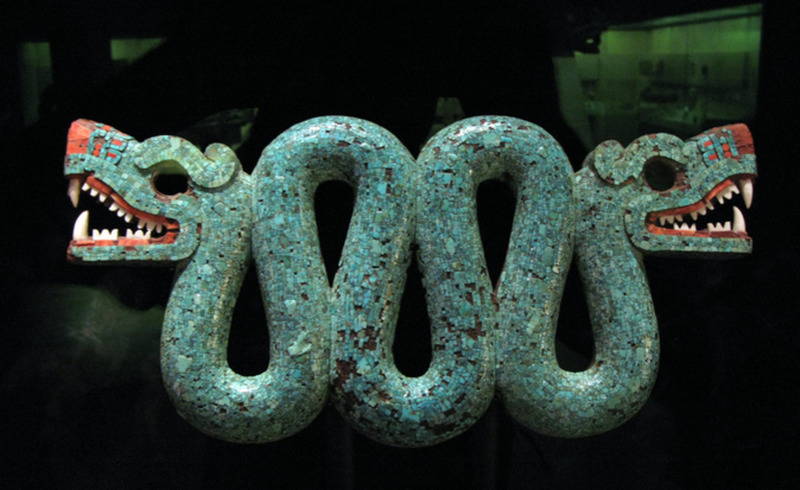 The five headed snake could relate to something unknown and mysterious to you. What does the number 5 mean to you? I numerology, it is often a number related to the physical. Some see it as an incomplete number. Hearing about a yellow snake in particular would make me explore my fears and how they could hold me back as well as what my views are on yellow- this can range from cowardice to happy or even relate to the third chakra. Thank you for sharing your dream. These snakes sound like they may relate to stress, fears, and something unconscious that needs your attention. Since the snake is black, it could relate to either something mysterious or unknown yet it can also relate to something you perceive as bad. Since the snakes are also on the ceiling, it sounds like they relate to your thoughts. How are your thinking patterns? Are you having negative thoughts about yourself? Do your negative thoughts act as a ceiling that keeps you from progressing and moving closer to your goals? I've been dreaming about snakes again, I do not know what to do. This dream was last night. my friend was home house me, it was dark, I think it was the middle of the night. I and she sat in my room maybe we were talking but suddenly ran my little brother in my room, he said he wanted to show us something, I went with him to the living room where he slept on the mattress. I wondered what he wanted to show us, I took up the quilts, then I saw a black snake, it was so dark that you could not see Ormet, but everything else I could see better. until it was snakes that were on the ceiling in the living room. Dreams of cobras could relate to something that is hypnotizing you or a hypnotic person in your life besides everything listed in this article. The bed would relate an intimate part of self. Since you are not recognizing the room, I would think you are dreaming of something unconscious for you. The friend would be an aspect of self. You seem to be reacting to the unknown in two different ways. On one hand you are curious, on the other, you are paralyzed with fear. Since your reaction is so different, it may be that you are out of touch with your feelings and maybe are feeling numb. This dream may be prompting you for some self exploration and introspection. This dream about this giant black snake sounds like it could relate to fears and anxieties and something threatening you as you attempt to overcome something and reach your goals. He is chasing you which could relate to feeling this is inescapable. Since you aren't going through a good phase in your life, this dream may be showing you that you need to approach life differently and confront your fears, anxieties and issues. Your dream about a large sleeping snake sounds like it could be about something lying dormant within you that you feel is threatening. The sleeping monster metaphor usually relates to not wanting to awaken an aspect of self that we feel is threatening. What is something you'd rather not confront that may not stay down for too much longer? Since your granny told you the dream is a warning, you could also relate the snake to a fear that someone will attack you. Are you feeling vulnerable or defensive lately? I find I don't really dream and only recall having 2 dreams ever. But did have one last night. It was very simple and short - more like a snapshot than anything actually happening. my bed has canopy posts and rails. it was in the middle of a poorly lit room (not my room tho). I'm standing on the footboard holding on to the canopy rail. my friend is over standing in a corner of the room. there is a black cobra partially raised sitting in front of her. She doesn't move or speak like she's paralyzed with fear. I'm just watching with curiosity and don't seem to have any concerns about danger. next instant she is standing on the bed beside me freaking out because the cobra slithered off but we didn't see where it went. I'm still just looking at her like nothing is wrong and just wake up. All very odd to me. If this were my dream, the snakes would relate to issues, emotions, obstacles that I cannot avoid. The dream would leave me wondering if I should be leaving the room. Perhaps I need to sit with these snakes, acknowledge them a bit more until I am able to move forward. Your dream about this black snake sounds like it is representing what is coming between you and your wife. Is it the desire for a child? Is it a loss of childlike enthusiasm or innocence? In this dream, the child is representing something sacred and important to you. What do you feel is threatening what is important to you right now? why I dream about snakes. last night I dreamed about snakes that jump at me. I was left in a room. every time I try to open the door skips a snake on me. it was as if I was not allowed to go out from the room. Your dream sounds like it is reflecting a lot of processing going on within you. I could see the many characters in the dream (including the snake) as representing aspects of self. Is there something you have demonized and have avoided in some way? This is bringing you back to your childhood so perhaps something needs to be revisited now. Since you are thinking about becoming a homicide detective, the dream may also relate to what you need to overcome and face in order to pursue this goal. Perhaps the snake in this case is even representing suspects and criminals. The very beginning of the dream shows you wanting more gold chains yet you already have them. This may be showing you that you need to work on materialism, greed, understanding you already have what you want, and you may be attracted right now to something you do not truly need and are getting off of your life's path in the process (your life's path being cars in this dream). The wildlife guy could represent an aspect of self that has a different approach towards the snake. Perhaps ignoring an issue has killed off different aspects and stopped you from expression. The golden chains in the beginning may also relate to a need for expression since they go around the neck. It may be possible that your treatment of the snake could have caused the deaths/repression of other aspects. This dream sounds like there is a lot to get in touch with and demands a new approach to life in order to proceed forward. The car at the end with celebrities could represent a return to your path (a bus route could represent fate or destiny). Celebrities could relate to your social life and need for attention. This dream may be showing you your current path needs to focus on things you find real, sacred, deep and meaningful instead of superficial things and how others think of you. I'm just waking up from this dream so it is still fresh. A girl that I used to be friends with was standing on the corner with some other mutual friends of ours and it was a lady selling rose gold chains and I was in the car with my mom when I got out to go buy one. When I got out I noticed I had gold chains on my neck but instill wanted to buy more from the lady. Well I go to buy one and the girl I used to be friends with came over trying to help me buy one of those chains then she started to look for a stick that would match the color she would want for the chain (the bus stop was by a creek) well she stepped on a super long poison snake (like off the movie andaconda) I said to watch out but it was too late, she already stepped on it. Then all of a sudden the fourth floor of the police station turns into my childhood home I grew up in. The snake is chasing us around the house and then I go into my grandfather's room (which is a safe room which I used to escape whippings from my mother) and the snake whips its head around and charges for the room I'm in. In there I do escape but not without the feeling I got bitten, but I never saw a physical bit. Well I run towards the garage and everyone that was with me except the one police officer that is left is either dead or escaped I tell him to cut the tail off of the python. I throw an axe from the garage at him and he chops the tail off into three slices ( mind you the snake is long enough so where the head and upper body is in my grandpas room, all the way down the hallway, throughout the kitchen through the garage door that we shut on some of the tail). Well the snake goes crazy as finds its self in the kitchen headed towards the garage door where we are and then the police officer chops off its head and the snakes body goes super crazy! I disconnect the three pieces of the tail the police officer cuts off from each other and the main body and then the snake dies. Then a snake wildlife guy pops up and said someone called him to come get the snake but we have already killed it and he said we ruined wildlife cause now the snake is gone. We explain to him the snake tried to kill us and show him dead bodies of my friends and of the other bitten police officer but he seemed unfazed. He leaves and then the police guy who saves my life disappears and I'm looking for a ride outside of the house. Then two celebrities show up in this old raggedy car, the male is the driver and the female is the passenger with an infant in its arms. I was started cause I don't know them in real life and before I could make the decision to go with them the guy celeb revved up the car and started flipping the car upside down and all around almost running into the neighbors house but regaining power and then speeds down the street towards the direction of the bus stop that was in the beginning of my dream. The ex friend is someone who I cut communication off from because she basically lied to me and then joined an org I wanted to join in my past. After her joining, she never spoke to me again and I have seen her in my everyday life twice after the fact she joined. Myself I want to be come a homicide detective once I graduate from college (I'm a senior) but lately I have been having anxiety attacks about being scared to die. Can you tell me what my dream was about?! I would see the people in the building as different parts of who I am and the structure of my psyche, my thoughts, and my perception of the world. If it is a school, I would see the dream as showing me an important life lesson I need to learn. Running away from 3 snakes would relate to what I am running away from, escaping from and avoiding in my waking life. Snakes would relate to something bothering me, an issue, or something unknown or mysterious for me. The number 3 would relate to past/present/future. My first thought on the dream would be that unresolved past issues are unresolved because I am running from them instead of facing them and they then would affect my present and future instead of allowing me to move forward. Since the snakes are captured, I would wonder if it is truly resolved and I would not believe so. Captured does not sound like a resolution but a continued holding pattern. Am I imprisoning myself when I imprison something I fear or want to avoid? I have a dream last nite.. I dream there is alot of ppl in a building.. Look like a school. Suddenly i saw 3 snakes chasing after a lady and then it turns out every one is running away. Then end up 2 snakes were chased after me, after running for a while and the snakes were capture by a guy.. Thank you for sharing your dream. I thought this dream was rather spiritual. Since you have been doing a lot of soul searching, this dream may be showing you your progress and your current fears holding you back. You see the snake as beautiful so this could be a positive sign that you appreciate this mysterious part of you even though you are also fearful of letting it in fully. Since it is golden, it also sounds spiritual and something of value to you. This dream may be a sign that you are beginning to see your fear does not seem appropriate for what it actually is. Also, if the fear occurred at a party, it could be your new transformation and awakening is taking place for you but you are having trouble fitting into your social self and actually expressing it. Last night I had this very vivid dream about a snake. The snake was beautiful. Big, long, very thick black golden pattern skin. However, I was scared of it. I was at this place, a lot of people were there. Sort of like a party, but I knew most of them. Suddenly I see myself holding the neck of this snake really tight so it doesn't bite me or anyone else. It come over my left shoulder and I was holding the neck with my left hand in front of me. It went on like that for a while and I remember the fear I had. I was terrified as I was holding it but I knew I had to and I knew if I would let go it would bite me or someone else and I couldn't let that happen. Then somehow I let go of it, it disappeared but all along the rest of the dream I was fearful of it coming back from under the table or chair or somewhere. What do you think this means? Lately I have been going through some spiritual transformation and awakening and I am doing a lot of soul searching but I don't see how the snake here can be related to that. Snakes are such a common dream symbol. If they don't bite you, I would find that to be a very positive psychological or spiritual symbol! i saw snakes in my dream so many times but they don't trting to bite me. Dreaming of a black snake whose head grows back each time you cut it off is a common symbol of how we cannot truly cut off any part of who we are and truly escape it. The dream would prompt me to look at the snake differently and approach it differently. If the snake is threatening in some way-- why? Perhaps it truly is not and feel this way. The snake is likely a part of the unconsciousness. Also, cutting off the head (not thinking about it?) is not working, how can you approach this differently then since your method is not effective? I would consider allowing the snake to exist and learning how to co-exist. Thank you for sharing your dream. 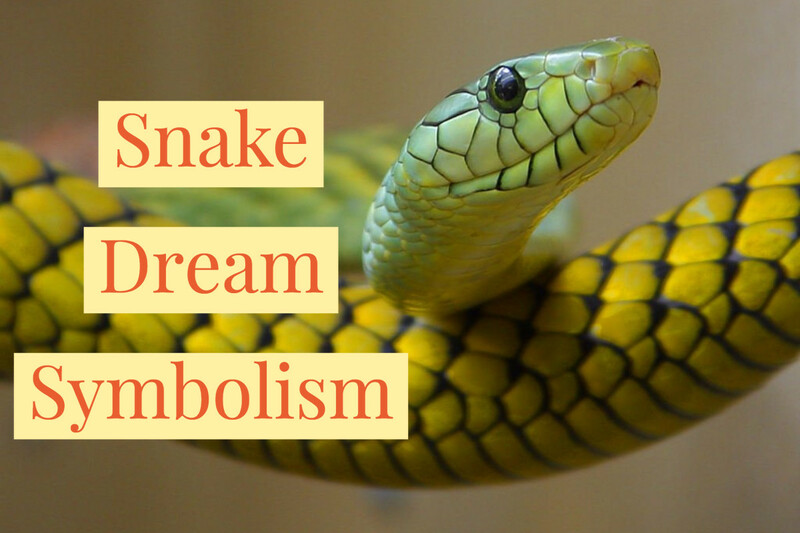 Although I would expect an Indian to see snakes as a positive spiritual symbol, In this dream, it seems to be representing something mysterious, unknown, and harmful. I would see your aunt as an aspect of self for you that you are not quite in touch with. Perhaps this is a part of self you repress and keep safely away yet you find in this dream that there is some risk and you cannot shut out this part of self completely. What stands out as well is that you feel you are lucky you came early and avoided the snake. I think, although scary, avoiding the snake may be the problem and you may need to find a way to face this snake and begin to accept and understand it a bit more. I had a dream about a black snake. And every time i would try to cut the head off, it would grow back.. I had a dream where I went to some village to my cousins place. in the same village I went to see aunt who lived 4 house away . I came back from aunts place. Then me and 2 of my cousin saw a black snake going in the direction of my aunt place. I said that I am lucky that I came early, I just came from that side what does that mean ?? I am from India.. and we believe in snake a lot.. Please help..
Pregnancy dreams tend to relate to a potential for a new develop- this could be a baby or it could be symbolic on a more emotional, spiritual or industrial level The river of snakes could relate to emotions and things bothering you that you are not fully aware of and are not fully dealing with. Although someone with a sword comes and kills all of the snakes, I would wonder if this is showing you how cutting yourself off from this issue is not working and you will need to face it and process it more. The party in the classroom sounds like a metaphor for not taking a learning opportunity seriously and missing it. I could see the red punch symbolizing alcohol use and the monster it created it. I can also see it symbolizing something you accepted and took in. The snake would be an aspect of self that appeared to be an inner monster from your perspective. I would think the snake could be an unconscious aspect of self that went ignored and grew out of control. Since the snake turned into a small toddler, it sounds like it related to your inner child and is something that needs your nurturing and protection. The knife would be the tool in which you were cutting off aspects of self and dividing yourself. In many ways you are killing a part of self when not honoring it. I would think you need to explore the past, find the lesson not learned, and begin an inner journey to allow you to acknowledge and accept both the snake and the toddler. Thank you for sharing this dream. It sounds like it was very unpleasant for you! I would think this is an emotional dream for you. The mountain may represent what you are attempting to surpass and overcome. Your experience with the shell may reflect some mixed feelings about how to manage your emotions. On one hand, you may want to get in touch with unconscious emotions and explore your unconsciousness. On the other hand, you may want to protect yourself from these emotions and fear they will negatively impact you if they let them in. The shell represents protection. To disturb it could mean you fear uncovering unconscious emotions could be harmful. Seeing the worms and holes in your finger could relate to a fear that you will somehow be damaged or infected if you begin to face something that is unpleasant. Overall- I would see the dream as something to work through and not stop you from examining yourself. Hi i am disturbed too much recent days due to Snakes in my dream and today early morning it was a bad day me hence i started to surf and came through this site. Can any one explain me about my dream. In my dream I was pregnant ( I am unmarried at that time and my parents took care of me very nice without asking me who is the reason for my pregnancy). I saw my house is located near some river side and while cross i saw many many many bunch of snakes coming out rolling on the way.Someone came with the sword and started killing them.I guess the snakes didn't harm me. Please help me to know y am getting snakes in my dream. P.S : I am unmarried one in love with a guy am waiting for him. It sounds like this dream has some elements of fear of the unknown. I would perceive the house as a reflection of self and the people as different aspects of self. The powers would be the powers within you. The girl becoming a snake may relate to your distrust of the feminine aspects of self- this would relate to the Anima, the unconscious feminine aspect of self introduced by Carl Jung. Is this part of self a threat? Or is this part of self something that needs to be understood better and honored? last night i had a dream i was at a party in my classroom at school,and i got a glass of red punch,then the punch turned into jelly and then in to a a small snake getting bigger and bigger,i dropped the cup and climbed on to a table,the snake got to about half the size of the class room,bigger and bigger,and then i turned into an adult version of myself, the snake was going around and in between the tables, me and my friend jumped of the tables and searched for something to kill the snake with,as we were looking a turned back to se the snake turned into a small toddler,with blond hair in a mushroom cut and bangs, my friend found a knife and handed it to the kid as if he was telling the kid to hold it,but he didn't say anything,the toddler held it,and brushed his finger on the blade then the toddler put his hand in the air with the knife and yelled " i will cut you!" then i grabbed the knife from his hand,panicked and cut across his face and he said"ow! your killing me" i was worried and didn't know if he was going to hurt me,so i stabbed him, then i awoke, and saw the kid standing in front of me,and then i woke up in real life.any explanation ? I had this dream last night, and I am kind of shocked enough to be looking for a meaning first thing in the morning. Here is the dream- I am on a mountain with various layers of road forming a coil around the mountain. The palce is decently developed, not totally deserted. I am with someone I can't recall just now. We find a really big shell buried shallowly on the soil. I pick it up and I am very happy, but a short thought passes my mind that what if there is a problem with the shell that no one has till picked it up which is very noticeably buried in the soil? Then I think otherwise, I pick it up happily. There are a couple of small holes on the narrow end of the shell. Suddenly I notice some some earthworm or snake like things inside those holes, and to my horror notice that the holes of similar kinds as in the shell are now in a finger of mine which covered those holes. I Am still very shocked and a little scard and very confused. Please help in the way you can. Thanks. Hey.. I see that i'm in a house looking from the window outside. There's a desert and there are few people who have some powers. One of them a girl/lady converts herself to a snake. The snake's yellow and black (yellow and black patches) and starts crawling ahead and many times some part of the snake gets disappeared in the thick sand. To this i wonder that the people would be unwarned and unprepared for a danger like this , with the snake successfully hiding itself in this sand most of the times. My first instinct is that your hand somehow had pain (arthritis? etc) on its own and it was incorporated into your dream. And what a dream it was. Do you feel like your husband is looking for trouble in some way? Would you prefer to leave well enough alone and he is dredging up the past, issues, etc? Something bit you on the right hand- I would wonder if this would relate to having a negative impact on your thoughts or the ability to do what is right. Calling 911 is positive and asking for help. This shows you are seeking help. I'm guessing your or your relationship may need some healing. What has backfired? I am new here and came across this page while looking for answers about a dream I had. In my dream my husband and I are in some kind of observatory. My husband is looking for a certain kind of snake. I am not sure why he is looking for them, but it has to do with job or some sort of study. We come across several snakes and happen upon a set of 2 headed snakes that he thinks is what he is looking for. He walks away to notify someone of his findings and I continue to view the snakes. The next thing I know something leaps out and bites my right hand. I scream my husbands name at the top of my lungs for what seems like a 2 minute continuous scream. He comes running and sees the snake still clamped down on my hand. I am crying from the pain and I tell him to call 911 and inform them that a black mamba is biting me and we don't know what to do. While he is calling the snake is clamping down harder and harder and the pain is very very bad. I heard a loud hiss and was suddenly snapped awake. The dream was so real that my hand actually hurt and I went into the bathroom to see if I injured it somehow or if perhaps a spider or something bit me in my sleep. I can see no marks on my hand but it does hurt. I also checked my bed for a spider. I can't explain the pain in my hand or my dream, but it was enough to make me start looking immediately for an answer at 3:00am right after the dream occurred. Any thoughts? I just had a dream that my husband and I are in some kind of observatory. My husband is looking for a certain kind of snake. I am not sure why he is looking for them, but it has to do with job or some sort of study. We come across several snakes and happen upon a set of 2 headed snakes that he thinks is what he is looking for. He walks away to notify someone of his findings and I continue to view the snakes. The next thing I know something leaps out and bites my right hand. I scream my husbands name at the top of my lungs for what seems like a 2 minute continuous scream. He comes running and sees the snake still clamped down on my hand. I am crying from the pain and I tell him to call 911 and inform them that a black mamba is biting me and we don't know what to do. While he is calling the snake is clamping down harder and harder and the pain is very very bad. I heard a loud hiss and was suddenly snapped awake. The dream was so real the my hand actually hurts and I went into the bathroom to see if I injured it somehow or if perhaps a spider or something bit me in my sleep. I can see no marks on my hand but it does hurt. I also checked my bed for a spider. I can't explain the pain in my hand or my dream, but it was enough to make me start looking immediately for an answer at 3:00am right after the dream occurred. Any thoughts? This dream sounds very scary! The huge black cobra with red eyes sounds like it is symbolic of something you are attempting to escape only you cannot. Since this was such a scary dream, it may be showing you that running away and attempting to escape is not the answer- you may need to face this. I would associate this black cobra with red eyes as something unknown to you. Since it is unknown (or unconscious) it is fear and anxiety-provoking. The red eyes would be symbolic of your perspective. You are seeing this symbol as more evil than it actually is. It is very large because it has been ignored. As we ignore or suppress something instead of tackling the issue (internally or externally) it grows, like a weed, and our problems become bigger and more intimidating. This may be something to explore. What in your life can you identify with this cobra? If you cannot find anything in your present situation, it may be symbolic of something internal- such as your shadow aspect of self. This is a part of self we disown. It could be traits we find inappropriate or undesirable or even "bad" in some way. Everywhere you go, there you are. You cannot run from yourself and this part of self may need your attention and deeper understanding and appreciation before you are able to continue on your path. I would add that by avoiding this issue, you have changed your path. We are not truly free of something and doing what we want to do if we are reacting against something. Your friend continues forward and it sounds like this dream is telling you that you need to work towards continuing forward in the future. You took a detour and it may be up to you to make this detour temporary instead of allowing this issue to derail your path and your goal achievement. Just recently, I had a dream that me and I think it was my friend marvin, was walking in some place that I know I've dremt of before. While we were walking, I heard a woman scream from a distance. As I looked as to what was happening ahead of us, I saw this huge black cobra with red eyes. Me and my friend tried to walk past it, but somehow, I turn right to the next road while my friend continued walking straight. I thought I was out of the snakes way, but the snake saw me. It went crazy and started chasing me. I ran and ran, until finally a tall wire fence blocked my way. As I started climbing the fence, the snake lunged itself at me. As it was going to bite me, I woke up screaming. This would be an emotion issue dream for me. It could relate to your marriage or your husband would be representing an aspect of self. The desert would relate to a lack of emotion and lack of energy- being thirsty for expression. I would wonder if you are repressing something or not paying attention to something important. Since the cobra comes of out nowhere and is black/mysterious, this would relate to something you are not aware of biting you and having a negative consequence for you. What are you not facing can still harm you. Do you feel vulnerable and unprotected? Regardless if this dream relates to your marriage or an inner dynamic, it calls for becoming more empowered and expressing feelings more. The left side tends to be associated with feelings and looking to your husband who does not help you seems like a passive response to the snake. Hi, I had a dream last night that has completely freaked me out.. Me and my husband were somewhere, I think it was a desert of some sorts and out of nowhere this huge black cobra just launched itself at me. It bit me twice, once on my left hand and once on my left side. My husband did nothing to protect me or get the snake off of me in my dream. I did t wake immediately and my dream just kind of faded away. I'm so confused, can anyone enlighten me at all? The part of your dream that jumps out to me is you seeing your long lost father and he is catching snakes and a big yellow snake peels its skin. This could relate to a transformation- either spiritually, emotionally, mentally, psychologically, etc. Are you shedding something? What does the color yellow mean to you? Yellow could be associated with fears, perhaps you are shedding your fears. The snakes are everywhere in the home. I would think the home is representative of you. Since they are everywhere, it could mean there is much to explore within you and about you. This dream seems to be calling for or reflecting an inner journey. The snakes could relate to transformation as well as what is mysterious or not yet known about yourself. To have them uncaged gives me the sense that these unconscious parts of self have had some new freedom. Your dream about 4 snakes may relate to things you are not confronting and things that are biting you or causing you pain and getting under your skin. Those around you may be aspects of self or your loved ones. if this is an internal issue, which it is likely, then it makes sense it would not affect others. These snakes could represent unconscious emotions or something you do not full understand that you regard as a threat. I would explore what the number 4 means to you. Some possible meanings are : The world, completion, practice, repetition, realization of power, ability to use practical thinking, basic form of order, prepare for renewal, instinctual knowledge. actually this is the 2nd time that i dream about snakes and i find it much the same as my first one. 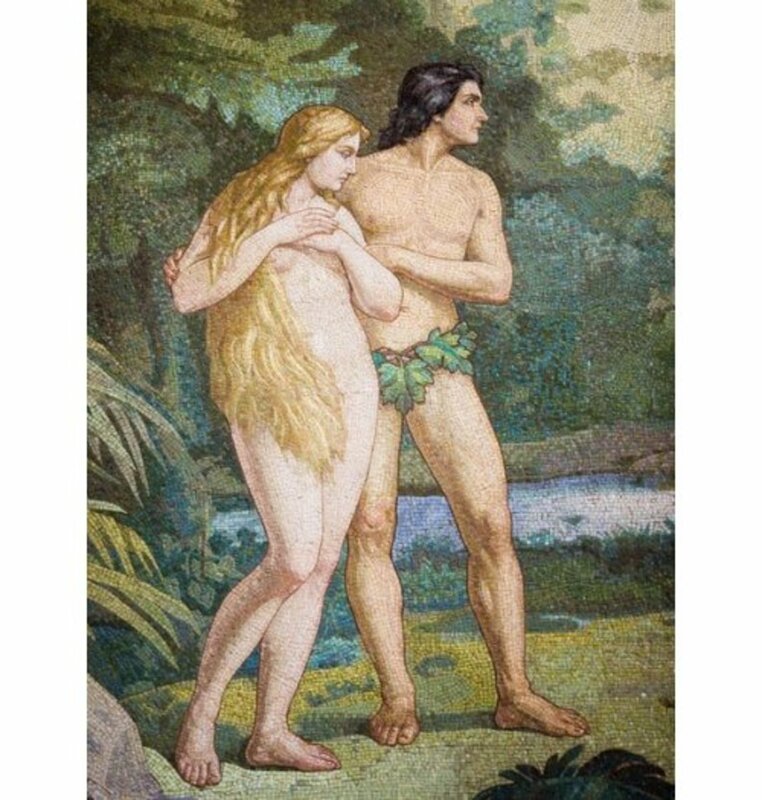 I find my self in a place wherein it seams like to be our house because all of my family were there, i also saw my long lost father wherein in my dream he always catches snakes and a big yellow snake peels its skin. Big snakes are all over the crippy house it looks like a zoo. They all have their own cages but they were outside of it, some at the top of their cages. All my family members doesn't look afraid, coz the snakes doesn't attack anyone of us..can anyone help me what is the meaning/ interpretation of my dream? it really bothers me, it makes me think always.. thanks yah al! chyna25- this dream gives me the impression tat these black snakes are representing a lot for you that needs to be dealt with. Since they are black, I would associate this with something unpleasant (although important) or unknown/mysterious to you. Since there were 3, I would wonder if it somehow relates to past, present, future or mother,father, child. Since one snake was still there to deal with, I would wonder if this is something important you need to resolve within your past or with a specific person. Since the snakes were in the washroom, I would associate this with emotions and emotional management. It might be this area that is begging for a change. Your grandmother sounds like she could represent a wise aspect of self that may be attempting to help you find the lesson within the dream and help you make a change in your waking life. Although she is scares of snakes in real life, she is giving you adivce not to be scared of them in your dream and to not get into other people's problems. This might be the biggest clue to the dream. Perhaps the snakes relate to the problems of others. When one is left behind, this shows you that you can make their problems your own problems if you are not careful. She is sharpening a dull saw with some bread. I found this to be a strange symbol. It made me wonder if the message is related to how to sharpen your own skills and your own abilities in order to be more effective. What you need may not be very obvious. Bread would be associated with nourishment and energy. Perhaps you need to pay attention to something more and feed something you have been ignoring. i had a dream lastnight of a black and brawn color combination of four snakes. while i am in the midle of the party togethere with my family relatives and friends we all surprise that four snakes came out from the hole in front of me. i'll try theme to push away but one snake are running to wards me and three othere's just ignore me. i'm running inside the house up to the second floor but still trying to catch me out. im wondiring why of all those piple out there.. why i am the only one he wanted to bite. sue b. plss explain to me what is the meaning of my dream. im a little bit comfuse. thank you! This dream sounds like it is reflecting an inner battle of opposites. Black and white could relate to good versus bad, dark versus light, yin yang. The snake sounds like it could reflect a part of self you would like to ignore and escape from. The snake could be what is unknown to you and associated with the shadow self. It is attacking you then hiding. It sounds like the dynamic you have encountered is that you feel threatened by what this snake represents yet it keeps alluding you. You want it out of the house which sounds like you want it out of you, and out of your life which may not be possible. You take a sword and slit it into two pieces. This information may be meaningful for you. I would associate the sword as anger and what is divisive. The snake is not destroyed after this act-- it is two pieces. In some ways, this could look like more of a problem. This dream may be showing you that your approach is not working and you may need to take on a new perspective in order to resolve this. dreaming of golden snakes and gold all around you sound like a very pleasant and beautiful dream. What do you feel in these dreams? Since you ask what should you do, I wonder if maybe you find these dreams alarming for some reason and that would change the meaning. I could perceive these dreams as spiritual in nature. Snakes usually relate to what is mysterious and unknown within us. Exploring them allows us to gain further insight. Gold signifies what is of value. If everything is gold except you, does this mean you are not valuing yourself? If this felt more positive, you could be becoming aware of valuable spiritual aspects of self. Your dream sounds like it might reflect an exploration within your unconscious and becoming more aware of yourself. Your dad may represent an aspect of you- perhaps your internalized wisdom, authority, parent. Since you were unaware his friend was there too, this may show you that you do not see everything but that does not mean that things are not there. The orange relates to sexuality for some people but here it sounds like it could relate to your energy. Since it was loose skinned, it gives me the impression that you may feel out of balance. Snakes and beetles inside fruit can often relate to the unknown and the unconscious. In this dream, you seem to have a negative reaction to these things yet your dad is trying to tell you its normal and harmless and to accept these things. i had a dream lastnight of a black and white snake in our house attacking us but it kept running away and hiding. i kept saying i would not sleep until this sanke is out of the house. at the end it tried to attack me but i had a sword in my hands and slit it in two pieces. If you don't think there is someone in your life that is untrustworthy then I would question if that is really the meaning. As you read in this hub, snakes can mean many things. Sometimes they do resemble people in our lives but more often than not they represent something important within us. These snakes may relate to your shadow self- the part of self you cast aside and do not own yet is still you. They can also relate to your fears, anxieties, and what you feel is unknown. Since these dreams are scaring you so much, it may relate to what is actually scaring you in your life. If there were hundreds of snakes, I would say you are rather overwhelmed. What is overwhelming you? How can you tackle the issues and ongoing problems you have in your daily life a different way? These dreams may show you are not confronting a problem that needs to be faced and worked out. I am dreaming snakes often, And i feel that the snakes with me dreams comes like snake kissing and golden snakes in golden place all what ever i see it was full of gold expect me, and i cant explain it. what should i do. i had a dream that i was in an office waiting for my dad. his friends wife called and asked if her husband was there. i said no...but shortly after he came down and i told him his wife called..he left. my dad brought down some fruit...they looked like oranges but kind of loose skinned..i peeled the skin and a small snake unraveled itself..i was scarred of it but my dad took it from me and said it was normal to have these and beetles(also in the fruit) but they were harmless. If I didn't cover being bitten by a snake in this hub, I need to add it! Being bitten by anything in a dream can demonstrate what is bothering us, getting under our skin or what has backfired. We use this in our speech "this is going to bite me later" etc. Since snakes can relate to many things, understanding what the snake meant to you can help you understand what is going on. Perhaps you are seeing this snake as something harmful you have ignored that is now bothering you and cannot be ignored. Perhaps the snake is representative of people you do not trust that you find harmful. I find more often than not, the snake is very much representative of an aspect of self we have rejected and disowned. This rejection certainly backfires and the dream may be showing you that you need to interact and approach the snake differently and reflect how this new approach may be necessary in your waking life. 1. Your dream is reflecting your relationship with your husband. The symbols show some disconnect. Do you not feel connected to his life/interests or his family? The snake head coming out of his back could relate to something harming your relationship that you are not completely aware of. I would relate the snake to influences that affect his heart (feelings) and your emotional connection to him. Is the snake influence from in-laws? Is the snake related to your reaction to him or parts of his life? Since the snake does relate often times to aspects of self (our shadow self for example) it may be that you may need to consider your role in relationship issues. 2. Your husband could be representing an aspect of self (Animus- unconscious masculine aspect of self). Dreaming that only this aspect of self visits a sister and many different animals show you are indirectly connected to many other different aspects of self. Your life's direction (car) may be taking you away from some vital aspects of self. This may influence your relationship with self and even your relationship with your husband. Is it possible you are avoiding certain aspects of self because you fear negative influence/impact? Snakes can be change but can also be our dark side. do you fear you will be tainted so much by what could be undesirable within your unconscious that you would rather avoid it and disconnect then have it influence you. This dream may be showing you that this influence is unavoidable and you may need to approach things differently and explore more connections. My first impression is that this rattlesnake is symbolic of something unconscious coming into your awareness tht you are violently avoiding! It has 6 rattles (does the #6 mean anyhting to you) and it sounds quite noisy as if something important is trying to get your attention. you are trying to force it back in its hole (the unconscious). Cutting the mouth in half would also relate to you resisting its expression and it's "voice" What is this snake for you? What you are disowning that is a part of you and why? This dream's message sounds like it relates to the need for you to learn more about it and examine it instead of resisting so much. Hi ms. Sue, can you tell me the meaning of a dream being bitten by snake? I dreamt that me and my husband went to visit his sister on a farm and she had many different animals. I stayed in the car while my husband walked around. When we were leaving he was driving and he began to take off his shirt saying he thought that something had crawled up his back. When I lifted his shirt there was a large whole in his back and when I squeezed it a snakehead came out and at that moment I began to think of ways of grabbing it out of him but was semi awake at this point. Don't know what to make of this???? Help Please!!!! this dream about a 5 headed snake is interesting. I would associate 5 heads with 5 different aspects of self or 5 different personality traits or ways of thinking. What are your beliefs about the #5? Some people see it as a number of completion, others see it as indicating a change in path. Since your relatives are trying to kill it, I would wonder if you feel as though your relatives are not supporting an important aspect of who you are that you believe is vital and worth saving. It sounds like this snake is associated with the meaning of transformation. How can you make peace within yourself and with your family? my dream was, I saw a rattle of a rattle nake come out of a hole, it had 6 rattles, i then grabbed a shovel and chopped it in pieces through the hole it was in until i completely got to the head, but when i pulled the snake out with the shovel it was big, thick and black, it opend its mouth and i striked it one more time with the shovel and cut its mouth in half! it felt so real i judt want to know what it means. can any one help? i got a five headed snake in my dream .it was so friendly with me because my relatives was trying to kill it i saved it .after that it was a good friend to me.it has capacity of talking .if it bite to me also nothing hapned to me.Later i came to know i also was turning to a snake …and that snake can change to human form around it is 3 years old .. This is an interesting dream. It sounds like you are dreaming of a lot of unconscious elements in your dream. Although scary, it sounds like this dream had a function for you as you process emotional situations, re-examine yourself, and achieve greater self-awareness. What is threatening you on a psychological, emotional or spiritual level? Your little sister sounds like she is representing an aspect of self- perhaps an aspect more child-like, innocent and vulnerable. Why do you feel the need to sacrifice this part of you? This dream maybe highlighting how absurd that is. You wouldn't sacrifice a person, so why sacrifice and important part of who you are? The snake sounds like it represents what threatens you- a feeling, something you do not want to confront? Perhaps it relates to your relationship with your father. Do you feel he should have protected you and has not? Do you feel he (or others in society) are not respecting feminine aspects of you and others in general? Feminine aspects are often not valued yet are essential to our well-being. The garage is your home- I would relate this to what you are storing and how you are undervaluing yourself. The small head of the snake was bent to one side-- perhaps you have been thinking very one-sidedly, need balance, and need to consider different perspectives in order to resolve this issue. Hello, I may be too late to comment on this thread but I just woke up from a dream and found this thread.. I had a dream my little sister told me something (which I cant quite remember exactly what she said because I forgot that part of my dream) but I remember I had to watch her because she was in danger. I walked out into this garage which was supposed to be my house and a yellow snake with blue spots came out, it had extra skin all around its face in a circular shape. It hissed at me and I ran. I found my sister inside and we ran to our dad who was watching a tv show about men catching snakes. The snake followed us in and I remember having to protect her as the snake crawled underneath the couch. I jumped on the couch and was afraid and my dad told us we had to catch it and then he would drain the venom out.. I asked him why he couldn't catch it and he gave me a face like he didn't want to.. He kept watching tv and her and I were jumping back and forth every time it slid out.. it knew it had to kill her.. It turned into a different looking snake after a while.. very very thin (almost invisible to the eye) and a small head that was permanently bent to the side. Please help me analyze this dream! Thank you. claudia, I wonder if this dream relates to your feelings about your in-laws and any friction or negative feelings you may have. Do you feel like there are snakes or people having untrustworthy actions in the family? Has your marriage introduced some sort of element you do not trust? are you suffocated in some way by your marriage or relationship with in-laws? You then become happy-- have you resolved something and find yourself at peace now? My first impression of your mom's dream is that she either may be worried about you or you are representing an aspect of self for her. Perhaps you could represent the side of self that would be open to take more risks or to challenge her thinking/beliefs? The three snakes sound like they are representing things she is cautious about (the unknown) but that she is getting the message she needs to get in touch with more. The number 3 is typically associated with past/present/future. It is also associated with the holy trinity and mother/child/father. My guess would be past/present/future and how this relates to her aspects of self (emotions, aspects she has acknowledged or has repressed, etc.). It sounds like a prompt to explore something she would rather not. My mother had a dream that i was surrounder by snakes.. 3 snakes... and that i was telling her to come and pet the snakes . Can you tell me a little about what you think about this? Lolli4- Since this dream reoccurs for you, it sounds like it is related to something unresolved that you need to address. Here are my thoughts on your dream. Being in a small dark room sounds like it relates to unconsciousness and the unknown. In this dream, it sounds like it relates to what is within you that is beyond your awareness. The unknown often creates fears and anxieties within us. Are you scared to take a good hard look within? When you allow yourself to look, you see many snakes. These snakes may represent your anxieties, fears, what is negative about yourself, your shadow self, negative emotions, and all that you cast aside. It sounds like you would rather not acknowledge or accept these snakes yet you need to. The cobra behind glass is an interesting symbol. I would take this as you are choosing to keep something important separate from you. Cobras can be rather hypnotic and relate to creative energies. Are you being influenced by a drive within you? Are you familiar with ancient Egyptian mythology? Nehebkau ("he who harnesses the souls") was the two headed serpent deity who guarded the entrance to the underworld. If I knew this mythology, I would see this symbol as the part of me blocking me from exploring my shadow, my unconsciousness, and everything that I have repressed and denied in fear. If I had this experience, I would want to try to explore my unconscious, my feelings, and sit with my thoughts. What makes you uncomfortable? This likely a good place to start. If you truly feel stuck, some form of counseling may be helpful. Allowing our minds to run as a closed circuit can often lead us nowhere. Sometimes we gain the most insight by having someone else reflect back what we are saying and describing,. I recently dreamed that I was in a small dark room where there were no doors or windows and I had a lighter in my hand. I couldn't see anything because it was pitch black, so i turned on the lighter and i saw hundreds of rattle snakes coming towards me. I kept screaming for help and for the snakes to get away, but they just kept getting closer and closer. I closed my eyes then opened them, then I was in a different room where a two-headed cobra snake was in a glass case staring right at me. The glass case dissapeared and the snake was right in front of me just staring at me still.... I have no idea what this dream is supposed to mean, but I keep having the same dream every now and then. Your dream could be reflecting a few things for you. 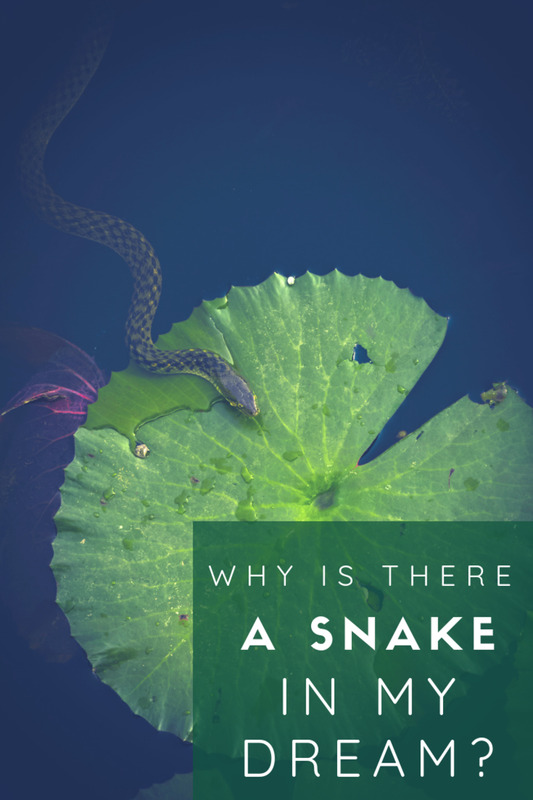 1. a fear of snakes, 2. a belief that those around you are snakes and cannot be trusted 3. snakes may be symbolic of something internal for you unconsciously- perhaps your shadow. I can expand on #3- these animals may represent aspects of self you do not express yet are present within you. Being in a biology lab sounds like it is a life lesson about what is natural for you. You choose to receive a zero instead of acknowledging the snake- I would say the snake would be associated with your shadow. It is red- passion, evil, danger, etc. Black- evil, unknown. It sounds like you are demonizing an aspect of self and are choosing to fail instead of exploring and figure out how to honor all parts of self. The boa constrictor may be symbolizing how suffocated and squeezed you feel by these aspects of self. Unexpressed parts of self can be overwhelming. If I had this dream, I would try to find a way to confront these personal truths in order to grow and develop further. I dreamed that I was waiting in some type of biology lab and coming towards me was a parade of different animals being led by a red and black striped snake. I immediately became scared and tried to distance myself from the snake I'm able to pass but midway through the parade I see another snake and I become scared again and started to walk fast trying to exit the building. When I'm almost at the exit I see a huge boa constrictor and I remember saying to my friend I'll have to receive a zero for this class because I won't work with snakes. Then I wake up scared. Dorothy- thanks for providing follow up. I am glad you have found my feedback insightful for you. This latest dream sounds like it is giving you the next chapter. You sound like you are sticking with the snake symbol in your dreams because it is still meaningful and appropriate as well as showing you that the issue continues. This half of a snake issue is interesting. Perhaps you have only addressed half of what you need and still are not fully aware of the other half. The snake is multi-colored so this sounds like a layered issue. What do all of those colors mean to you? This may help you determine what you still need to address. To me- red may mean anger/passion, yellow may mean sickness, black may need the unknown or negativity and white may mean innocence or potential/blank canvas/room for growth. Thanks for the resonse last week about my dream. Your thoughts about the dream were very insightful. I am dealing with some health issues that I have left unattended for quite some time, things like high blood pressure, etc. that are beginning to have a negative effect in my life. Also, my husband and I have been having more issues than usual lately. Nothing too terrible but still things that need attention. Interesting follow-up: Last night, I had another snake dream. This is getting old! I dreamed that I was slipping on a pair of sandals and felt something on my leg. It was a multi-colored snake: red, yellow, black and white. I had cut it in half in the process of putting on my sandals without realizing it was in there. The tope half was still slithering away and I started freaking out and trying to get the rest of the tail out of pant leg and was desperately trying to find the other half of the snake but never found either half ultimately. What's with all the snake dreams?! I have sisters but I have noticed when I dream of them, they are representing an aspect of me and not really themselves. Since you are killig the snakes and they are just multiplying, I think this is showing that some approach you are using is not working and is actually making matters worse. is there anything in your waking life that you can relate this to? Snakes are typically associated with fears, the unknown,etc. In this dream, it sounds like you are trying to get rid of something instead of confronting it. This method is backfiring in this dream. Although difficult and unpleasant, it sounds like you need to address what these snakes are representing for you, maybe even develop an appreciation, for them. You are welcome, Karen. Thanks for reading! last night i dreamt of lots of snakes with different colours and along my sister and i were killing them but they were not poisinous but kept increasing in numbers, what does that mean? 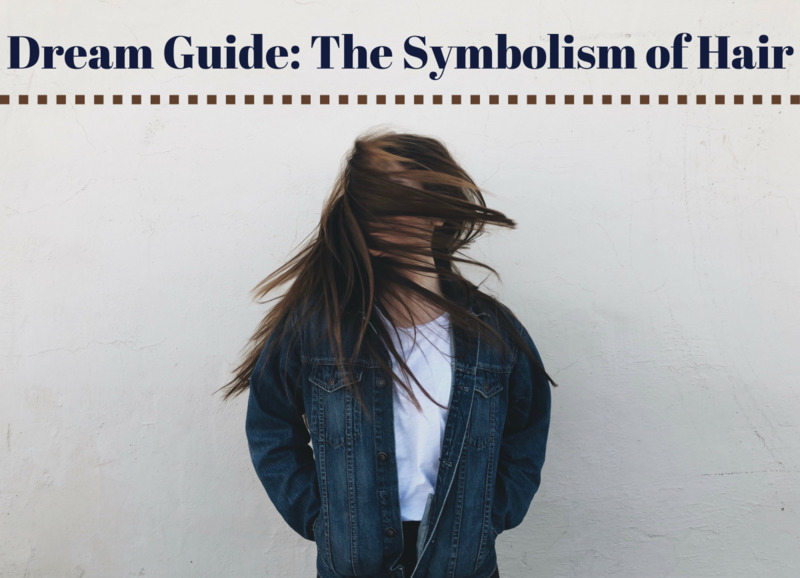 A lot is going on in this dream and how you felt towards these symbols is very important. Overall, it sounds like it did not feel like a pleasant dream for you so that is my assumption. The train can relate to the direction your life is taking you- out of your control. Trains are a rather passive mode of transportation- you are not the driver, the tracks are already laid down, etc. It sounds like you don't feel like you have a lot of control over your life. The snake can relate to a lot- the shedding of skin can relate to a change. I usually see this as a positive symbol of transformation but it does not seem to have that meaning for you in this dream. Green and black are powerful colors. Mysterious, negative, greed, envy? What do these colors mean to you? Villains in comics tend to have these colors. Do you feel like you are being squeezed? Suffocated? The snake wrapping around your right leg may mirror the lack of control of your direction concept. Since it is your right leg, perhaps part of your lack of control is your thinking and your belief you do not have control. I perceive the man next to you in this dream as an aspect of self. A guide, your animus (unconscious masculine aspect of self), etc. You go out to dinner which is a positive symbol. It sounds like there is a healthy aspect of self attempting to help you and guide you and give you positive energy. Since you are having conflicts with your husband, I am wondering if it is related to a conflict within. Our relationships within ourselves tend to play out in our waking lives. It may sound counter-intuitive but gaining more insight into the inner relationship you have with your masculine aspect of self may help you resolve issues with your husband and relate to him better. When people have a lot of animus (this is a Carl Jung Concept) dreams, they tend to have relationship challenges as well during that time. I often find that people report improved relationships after resolving this conflict in their dreams. My opinion why is the person stops looking outside to fulfill a void they have inside. The relationship improves because the spouse is not expected to unrealistically fulfill something they cannot actually fix. And the spouse also has the same conflict to resolve. One person is complicated, two people in a relationship is quite the adventure. Hi I just dreamt about myself boarding a train and saw a snake inside the cabin. And so i walked towards the next cabin and the snake came towards my direction and was shedding its skin. I cant really remember the color of the snake but was some how green and black. And as everybody was shouting inside the cabin i somehow felt that the snake clingging on me. And the whole snake jus wrap around my maybe right leg. It didn't bite me but i just keep on shouting n shouting n holding on to a man next to me. And then another man came to kill the snake for me by squeezing the snake's throat. After that i went out for dinner with the man that i hold onto together with his friend. And i saw my friend there at the place that we dine as well. I'm married in real life and somehow having some argument with my husband. Would appreciate that you could reply to my dream. Thanks. It sounds like your fear of snakes tipped off this dream. It sounds like your dream is definitely reflecting those fears but does it also reflect more? What else do you fear? How else are negative thoughts/fears about possible future events having an impact on your life? 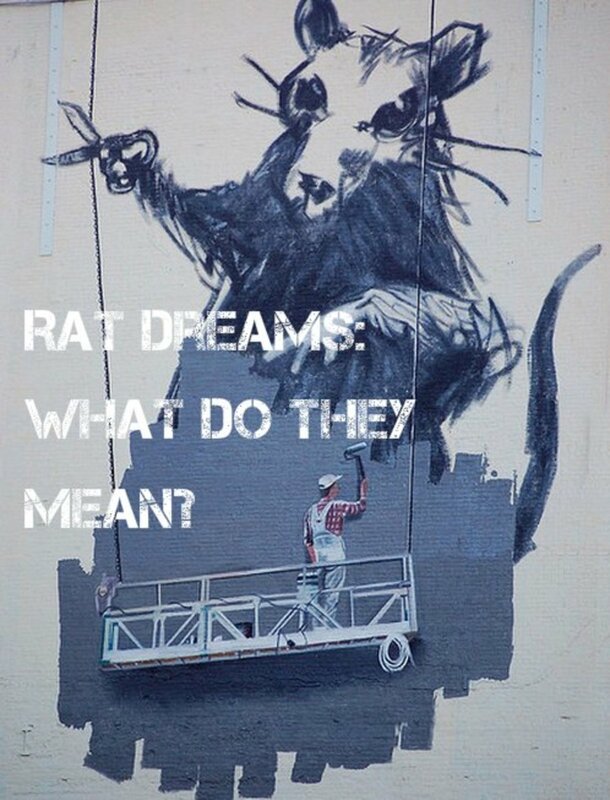 An infestation in a dream normally points to a minor issue that has grown into a larger one because you have not attended to it and have ignored it. Since part of the dream involves your husband, does the dream relate to him? Since he was bitten on the hand it could relate to this issue hurting him/ your relationship or his ability to do things. I am terrified of snakes and recently saw a garter snake on my front porch. Last night I dreamed that snake was in my house and crawled between my feet along with another smaller one behind it. Then I saw at least two more. One was black very fast. The other one was black with green diamonds and very imposing. I was freaking out in the dream and screaming for my husband. I ran outside as fast as possible. My husband reached under the bed to get the garter snakes and one bit him pretty badly on the hand. I don't know what it all means but in the rest of the dream I was very careful walking for fear of stepping on a snake. I kept thinking that my house was "infested" with snakes. That particular word kept coming up in the dream. My first impression was that you may be chasing something mysterious and foreign to you (new self knowledge?) and it is alluding you at the moment. I dreamnt that I was chasing a snake, or trying to catch it. By the looks of the snake I will guess it was a garter snake, which is pretty much harmless. So, my interpretation is that I may be chasing something that cannot be trusted but is pretty much harmless. It sounds like your dream could relate to you getting in touch with and accepting a mysterious and unconscious aspect of self. Although snakes can be scary to many, they are also a spiritual and development symbol. Slithering up the ceiling gives the feeling that it was an aspect pushing up which usually relates to higher awareness psychologically and spiritually. The friend may also be an aspect of self. Perhaps a part of you did not trust this snake and was mistreating it. Eventually she disappears so it sounds like you resolved this mistrust. This dream sounds like it could relate to confronting your fears and your relationship with your ex. The snakes seem to originate from your ex, is he a threat in some way? He could be a threat emotionally- depression, fears becoming reality, etc. Has your brother been influenced by your ex? Do you feel you will lose your brother to your ex? Does your brother need to wake up and see your ex for what he is? The python can relate to feeling suffocated. The shedded skin could relate to change and renewal. n my dream a friend had a pet snake and I was helping to look after it. It was ivory in colour and it was very playful. At first I was afraid it would bite me as it bit my friend when she wouldn’t let it do what it wanted. The snake would speak to me although I can’t remember exactly what it said, it was along the lines of telling me about its young life, it was a happy youthful snake with a lot of energy. It liked to slither up walls and would leave slime on the walls as it slithered up toward the ceiling. This is what my friend wouldn’t let it do and when she grabbed the snake it bit her. The bite didn’t seem to bother her too much but she threw the snake down after it bit her. During the dream my friend eventually disappeared and I was alone with the snake, this is when it started to speak to me and we became friends as I was no longer afraid of the snake but felt comforted by it.